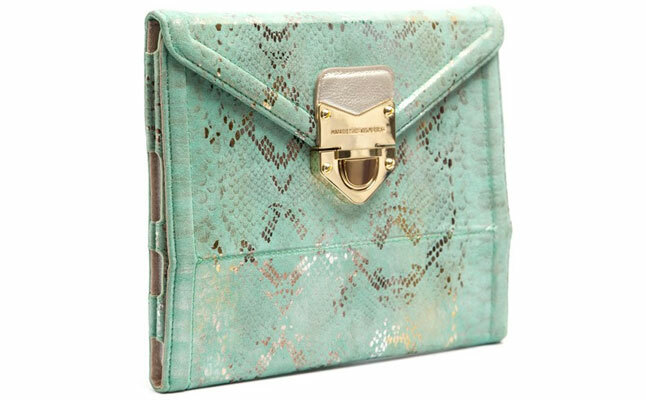 Aimee Kestenberg presented Jade Metallic - a peculiar portfolio tablet case compatible with the iPad 2 and the new iPad. 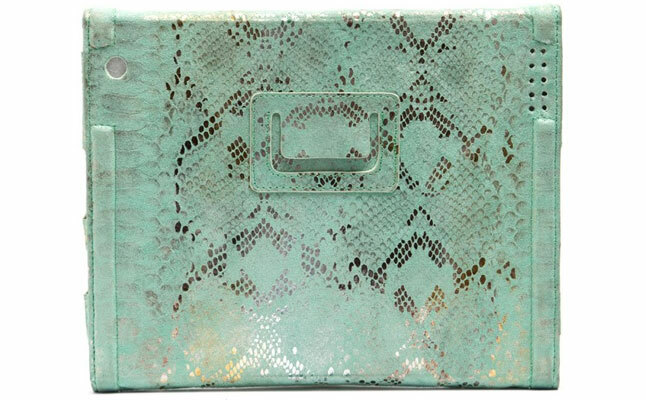 The new designer tablet case is crafted from exclusive Jade Cobra Metallic leather , which not only provides the case with exquisite looks, but also shields the tablet from impacts and scuffs. The new iPad case closes up just like an envelope and comes with custom-made shiny gold hardware locking mechanism. 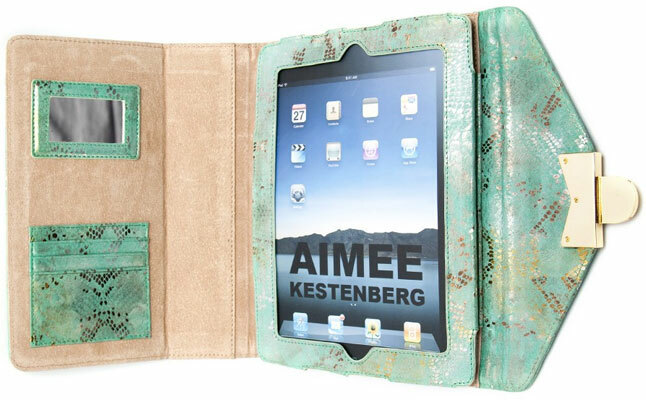 Inside the Aimee Kestenberg Jade Metallic, the tablet is secured within a special pouch, preventing accidental slip outs. All ports and buttons of the device are open to unrestricted access. The Apple iPad 2 case comes with several business or credit card slots, and a small mirror perfect for make-up sessions on-the-go. A small tab on the back of the case helps transform it into a tablet stand . The new women's tablet case combines everyday functionality with attractive design and highly durable material. The price for this item is $128.